Torino came back from 2-0 down at half time to earn a deserved point against Inter at the San Siro on Sunday evening. Cristian Ansaldi returned from suspension to start at left wing back, whilst Roberto Soriano made his first start for the club replacing the injured Daniele Baselli. The home side took the lead after just six minutes when Mauro Icardi crossed for Ivan Perisic to smash home. Toro were unusually poor in the first half, and conceded a second goal when Stefan De Vrij headed home Matteo Politano's free kick just after the half hour mark. After a few harsh words by coach Walter Mazzarri at half time, Torino emerged as a different team in the second half and reduced the deficit after fifty-six minutes. Iago Falque's was inside his own half when he found an inch perfect pass for strike partner Andrea Belotti, whose first touch beat Samir Handanovic and second touch found the back of the net. Torino were then level twelve minutes later, as Soualiho Meite collected a loose ball on the edge of the area, took it past Ivan Perisic and his deflected shot then beat Handanovic for the second time. Incredibly, Toro then had chances to win the game as Andrea Belotti volleyed just over the bar from Ola Aina's clever knock down and substitute Adem Ljajic forced a save from Handanovic. In the dying moments, Torino keeper Salvatore Sirigu made a sensational save from Perisic's long range strike to ensure the Granata went back to Turin with a deserved point. Torino will look to get their first points of the new season when they make the short trip to Milan to face Inter on Sunday evening. Lorenzo De Silvestri and Armando Izzo have recovered from injuries picked up in the defeat against Roma, but Daniele Baselli was injured in training and will likely be replaced by Roberto Soriano. Inter also lost on the opening weekend, a shock 1-0 defeat at Sassuolo and coach Luciano Spalletti is expected to make a number of changes from that match. Torino started the season with a defeat after a last minute wonder goal by Edin Dzeko condemned the Granata to an undeserved defeat. Armando Izzo and Soualiho Meite made their league debuts for Torino whilst deadline day signings Roberto Soriano and Simone Zaza started on the bench. Roma made the better start and could have been ahead through Edin Dzeko, but the Bosnian missed the target from close range. However, Toro had the best chance of the half following a quick fire counter attack led to Tomas Rincon hitting the bar. Torino thought they had taken the lead in the early stages of the second half, when substitute Ola Aina crossed for Iago Falque to score, but the goal was disallowed after a VAR review showed Aina to be narrowly offside. Soualiho Meite went close to a first Toro goal but his long range effort was well saved by Robin Olsen. In the dying stages, Roma claimed all three points when Justin Kluivert's deep cross was expertly volleyed home to deny Torino a deserved point. Torino have a difficult start as they host Roma in their opening day of the 2018/2019 Serie A season on Sunday evening. Toro have included deadline day signings Roberto Soriano and Simone Zaza in their squad, but it would be a surprise to see them start the match given their lack of training with their new team mates. Cristian Ansaldi is suspended so Alex Berenguer should start at left wing back, whilst Emiliano Moretti or Bremer should partner Armando Izzo and Nicolas N'Koulou in the back three. Opponents Roma have also had a busy summer by selling Radja Nainggolan and Alisson and bringing in a number of new faces including Justin Kluivert, Javier Pastore and Bryan Cristante. 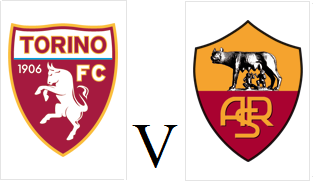 Roma won this fixture last season with a narrow 1-0 victory that was settled by Aleksandar Kolarov's free kick. It was a busy deadline day for Torino as they signed Roberto Soriano and Simone Zaza as well as defender Koffi Djidji. Djidji has signed from French club Nantes and joins on an initial loan deal that could be made permanent should he impress. Former Sampdoria midfielder Soriano has signed from Villarreal on another loan, with an option to make permanent for €14m. Striker Simone Zaza appeared to be on his way to Sampdoria, before Torino's last minute bid and the former Juventus striker decided to return to Turin and sign for the Granata on loan from Valencia with an obligation to make permanent in the summer. Earlier this week, Toro had sealed the loan signing of versatile full back Ola Aina from Chelsea who spent the previous season on loan at Hull City. There have also been a number of departures this week, with Mirko Valdifiori joining SPAL on a permanent basis, and Kevin Bonifazi re-joining the same side of loan. Midfielders Joel Obi and Afriyie Acquah also left the club, with Obi joining Chievo and Acquah joining Empoli. Torino sailed through to the next round of the Coppa Italia following a comfortable 4-0 victory over Serie B side Cosenza on Sunday night. Toro took the lead after only nine minutes thanks to Daniele Baselli's sensational volley from around twenty yards. Andrea Belotti scored his first goal of the season just before the half hour mark with a low shot from just inside the area. Belotti added a third, and his second goal after only twenty minutes of the second half with a powerful effort past the keeper. Moments later, excellent work from Iago Falque set up Tomas Rincon to score a fourth goal. Toro will now play third division Sudtirol in the next round who surprisingly knocked out Serie A side Frosinone. 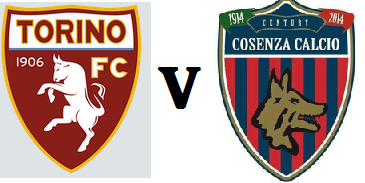 Torino will begin the 2018/19 season with a Coppa Italia clash against newly promoted Serie B side Cosenza at the Stadio Grande Torino on Sunday evening. New signings Bremer and Soualiho Meïté are expected to make their competitive debuts, after both players impressed in the pre season friendly against Liverpool on Tuesday. Cosenza gained promotion to Serie B after a surprise playoff victory over Siena last season and have already knocked out Trapani in the Coppa Italia following a 2-1 victory after extra time. The Calabrians have already received plaudits from Toro supporters for choosing to visit Superga to pay their respects to Grande Torino on the eve of the game. Torino will have a difficult start to the new Serie A season, as they begin with a home fixture against Roma on Sunday 19th August. 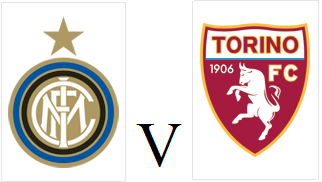 Things will not get any easier the following week as they travel to Milan to face Inter in their first away fixture. The first derby will take place on December 16th at Stadio Grande Torino, whilst the away derby will take place on the 5th May, just 24 hours after the 70th anniversary of the Superga plane crash. Torino will end the season with a home fixture against Lazio on May 26th, and Toro fans will hope that this will not be another final 'meaningless' final game. With the Serie A season only a fortnight away, it gives us an opportunity to reflect on the transfer business that has been carried out by Torino this summer. In a change from last season, the transfer window will actually close before the season starts on August 17th, which means every Serie A team will be able to play their first game without having uncertainty around players who may be looking to leave the club. Goalkeeper Salvatore Sirigu was apparently a target for new Napoli coach Carlo Ancelotti, however, that speculation was ended when the Italian international signed a new contract until 2022. Sirigu's number two this season will be Uruguayan Salvador Ichazo after last season's deputy Vanja Milinkovic-Savic left the club to join SPAL. Veteran goalkeeper Antonio Rosati has also signed on a free transfer to act as third choice. Armando Izzo has arrived from Genoa for an initial €8 million fee and with Walter Mazzarri favouring a 3-5-2 formation, he will be integral to the team this season. Brazilian defender Bremer has also signed from Atlético Mineiro and he may be forced into first team action sooner than first thought given injuries to Kevin Bonifazi and Lyanco. Cristian Molinaro and Nicolas Burdisso both left the club following the expiration of their contracts, whilst Antonio Barreca is the most notable departure, with the full back joining Monaco. As part of the deal that took Barreca to Monaco, Toro acquired talented youngster Soualiho Meïté who impressed on loan at Bordeaux last season. Tomas Rincon's loan move was made permanent, whilst Serbian midfielder Sasa Lukic as returned from a loan spell at Levante. Swedish youngster Samuel Gustafson has once again been loaned out, this time to Serie B side Hellas Verona. M'Baye Niang's loan move last season included a compulsory purchase option, however after an impressive World Cup with Senegal, the former AC Milan striker has been linked with a move away from the club. However, unless he does depart, it is unlikely that Toro will sign any further attackers.